Earn $5.19 in VIP credit (519 points)What's This? Dakine's Slayer Knee Pads offer the same amount of protection as some bulkier pads in a lower-profile package thanks to its CE-certified Impact Foam. The ergonomic, pre-curved shape means all-day comfort, which is maximized with a 4-way stretch Ariaprene Pro construction providing a snug fit that securely stays in place while riding. A perforated body and Polygiene® Odor Control Technology ensure lasting freshness, and the open-back combined with bonded-hem seams minimizes hot spots and irritation. 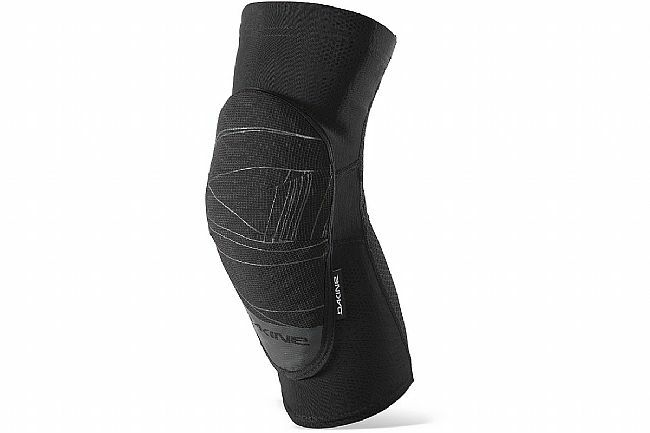 The Dakine Slayer Knee Pads are available in multiple sizes. Features abrasion-resistant Aramid fabric on wear-zones for increased durability. Small – Thigh: 33 - 38cm, Calf: 30 - 35cm. Medium – Thigh: 38 - 43cm, Calf: 35 - 40cm. Large – Thigh: 43 - 48cm, 40 - 45cm. Thigh Circumference 0" 13"-15" 15"-17" 17"-19" 0" 0"
Calf Circumference 0" 12"-14" 14"-16" 16"-18" 0" 0"